So much to share this week! 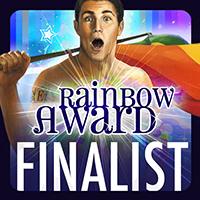 The most exciting news is that The Boys of Summer is a finalist in the 2013 Rainbow Awards! You could have knocked me over with a feather when I got the official word. I don’t anticipate it going any further than this; I am up against some stiff competition (no pun intended!) and I am aware of the flaws in the story. But this is one of those situations in which it is truly an honor to be on the list with such prominent titles within the genre! Also, I am very pleased with this interview with independent filmmaker Rolla Selbak on Queer Town Abbey. This is the second interview I’ve written for QTA–they’d asked me to be a staff member but I had to regretfully decline due to my other commitments Still, I thought this one went very well, so go check it out! Rolla Selbak is a fascinating person doing interesting work, and her projects are enlightening as well as entertaining! Right now, I’m climbing back into the saddle after a much-needed mini-vacation, but I have to tell you, the harness chafes more when you’ve had it off for a few days. I’m looking at the things I’ve promised to do and starting to hyperventilate a bit. Next up, I’ve got to read and review the latest story from best-selling author Kindle Alexander, Double Full, as part of her blog tour (release date Oct 8th). There will be exciting prizes as the tour progresses, so be sure to stay tuned! I have my own blog tour scheduled in December–complete with a book trailer (I’m so excited about this!) and my own fantabulous giveaways–so keep an eye out here for more updates as they arrive. 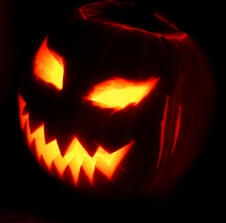 The newest post in the Paranormal Month hosting is from Lara Nance. Come check it out! This entry was posted in Uncategorized and tagged announcements, awards, blog hop, contests, Crying for the Moon, Sarah Madison, The Boys of Summer, writing by Sarah Madison. Bookmark the permalink. I love you are back in the saddle AND I’m totally grateful you have agreed to review the story. THANK YOU!